Rich chocolate cake made in less than 2 minutes! 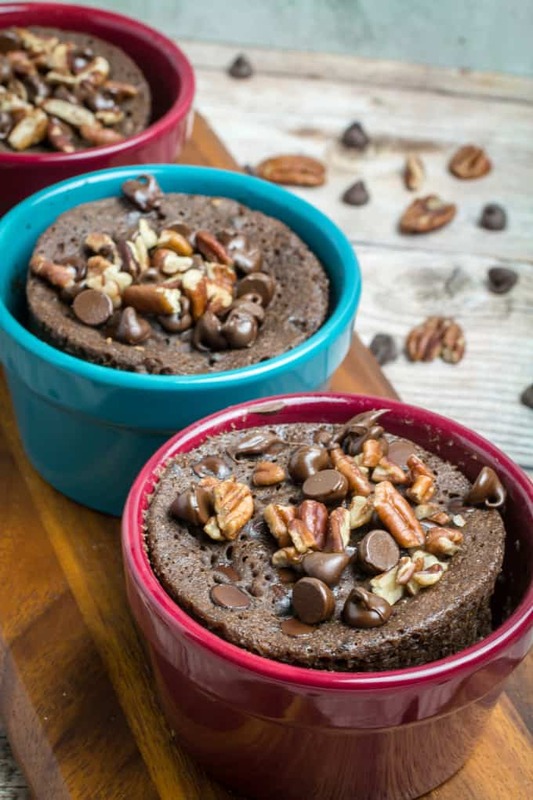 This Gluten Free Chocolate Mug Cake is bursting with smooth chocolate chips and crunchy pecans. 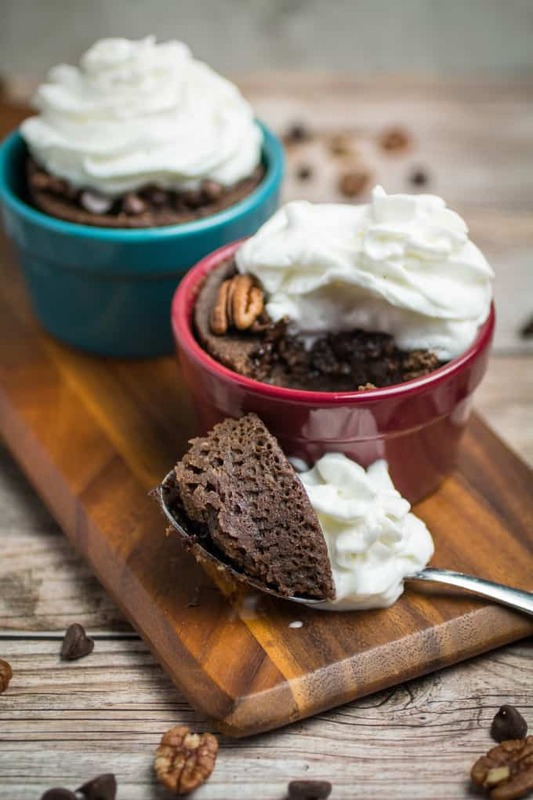 So easy to make, this chocolate mug cake is made in your favorite coffee mug or small baking dish, and only takes a minute and a half in the microwave before it’s finished. Gluten free baking has never been easier! Nothing says baking like chocolate cake from the microwave. Or something like that, right? It’s kind of like the adult version of the Easy Bake Oven. 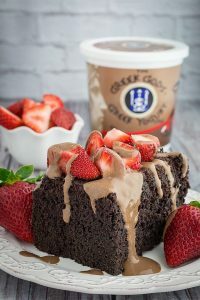 Gluten Free Chocolate Mug Cake is so seriously easy, delicious, and fast, that it might just become your new sweet-tooth go-to. How fast is it? 1 1/2 minutes. That’s it! In just under two minutes, you’ll have a sweet, rich chocolate cake in your hands. And that’s not even the best part! 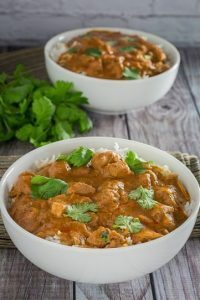 You can mix all of the ingredients in the same mug, making it the only dish you’ll have to clean when it’s done. I’ll take two, please. But first, I want to tell you about my trip! 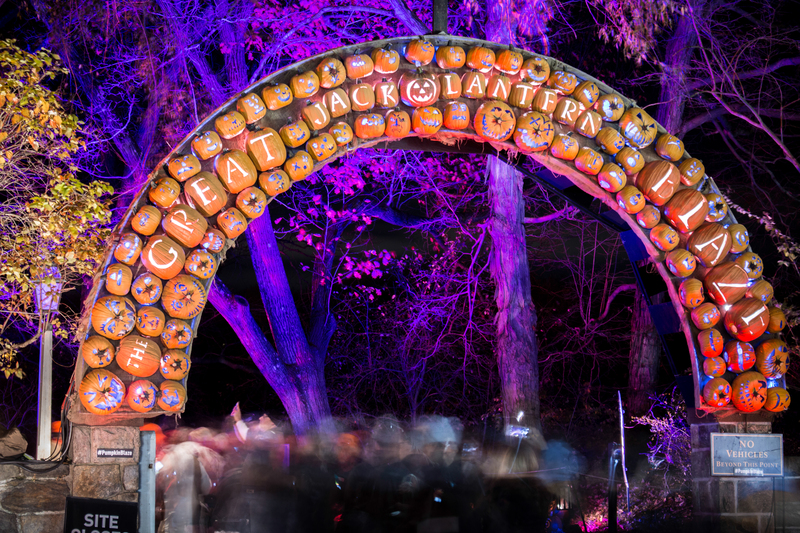 Andrew and I have made our triumphant return from Sleep Hallow and the Great Jack O’Lantern Blaze. It was AMAZING, and I’d highly recommend it to anyone. 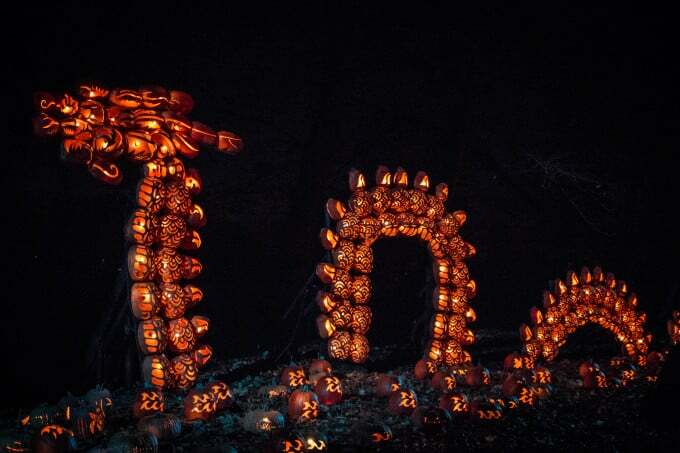 There was over 5,000 jack o’lanterns on display, with people carving around the clock to replace the pumpkins as they went bad. I am definitely going again next year. Who knows, this may even become a tradition. Here’s a picture of the entrance. The photo really doesn’t do it justice. I assure you the lights were flickering in the most awesome way possible. Here’s one of my favorite shots. So cool! I must make one for my front yard next year. I’m trying really hard not to think about how many pumpkin pies I could have made out of this. Here is a dragon surrounded by pumpkin-fish. It was maybe twice Andrew’s height, and he’s about 6’7″ tall. 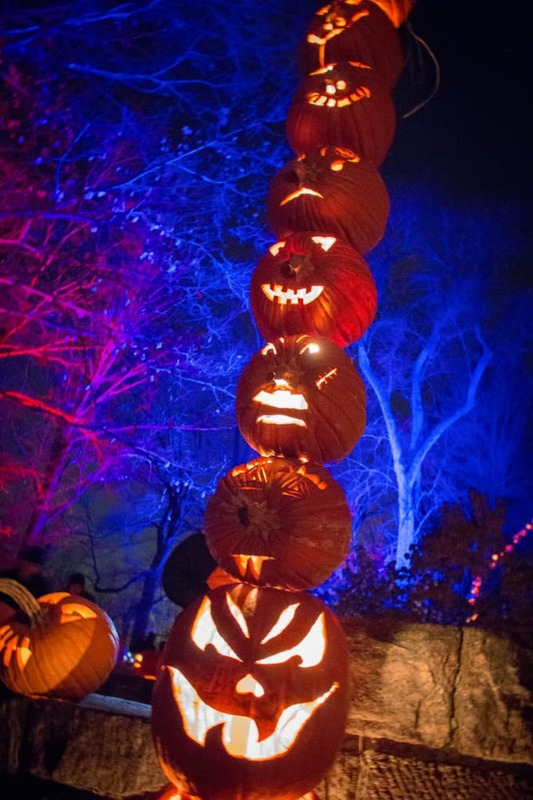 There were some pumpkin-sculptures that were even bigger than that! It was really a sight to see. I almost wish it was year-round. Along with Halloween, I’d like that to be year-round, too. In our travels we also found a little place called By The Way Bakery, which is 100% gluten free and dairy free. We ordered (ahem – everything on the menu) biscotti, muffins, cookies, and little cakes to take home with us. The baked goods were just amazing, and the best part? They don’t charge more for gluten free! It was really refreshing. I highly recommend going there. I left the bakery feeling inspired to make my own baked goods at home. Unfortunately, I had to go back to work the next day, leaving me a little short on time. I tried to think of the fastest thing I could. What’s faster than mug cake? Nothing! Except for raw cookie dough. But that doesn’t really count as baking. 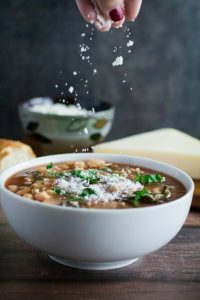 You literally throw the ingredients into the cup (or in my case, little baking dish) of your choice, mix them together, and microwave it for a minute and a half. Minimal cleanup, minimal effort, maximum chocolate. 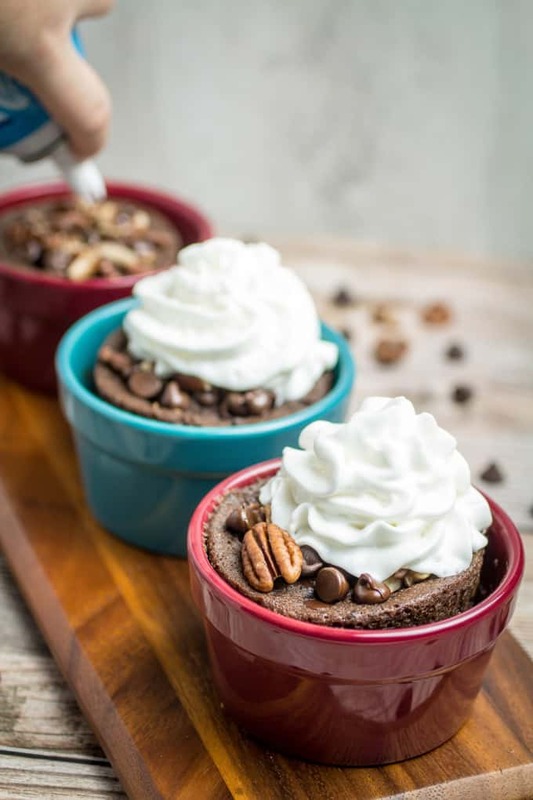 I added pecans and chocolate chips to these mug cakes, so I saved a little extra to top them off with. I also had some whipped cream in the refrigerator, so I added that as well. 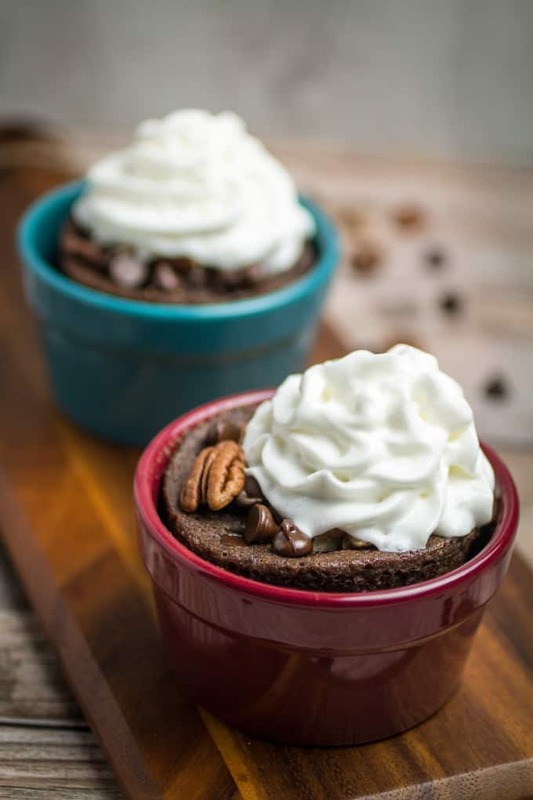 You can really get creative with these mug cakes. Add anything from almonds to walnuts to M&M’s. 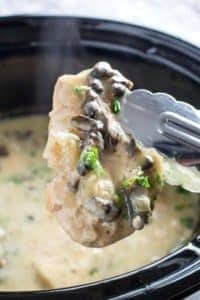 There are so many different versions of mug cakes. I’m thinking of making it my personal mission to complete all of the mug cakes I can find. Will you accept the mug cake challenge with me? Rich chocolate cake made in less than 2 minutes! 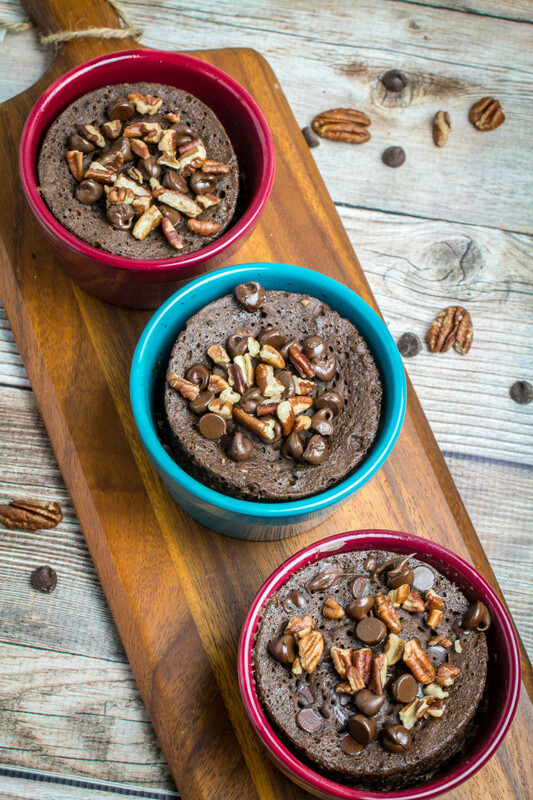 This Gluten Free Chocolate Mug Cake is bursting with smooth chocolate chips and crunchy pecans. 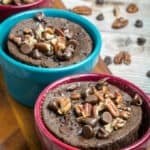 So easy to make, this chocolate mug cake is made in your favorite coffee mug or small baking dish, and only takes a minute and a half in the microwave before it's finished. Gluten free baking has never been easier! Add all dry ingredients to your mug and stir together (flour, sugar, cocoa, salt). Add wet ingredients to dry ingredients and stir until you have a wet batter (egg, milk, applesauce, vanilla extract). Microwave for 1 1/2 minutes, or until cake is firm to the touch. 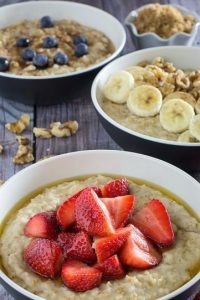 Add extra chocolate chips or chopped pecans to the top of your batter just before cooking for a little something extra. The cake may rise above the cup while it's cooking. This is normal! It should not spill over the side. 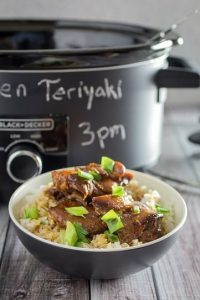 I love your food photography, this looks stunning! Thank you so much Johlene! I love your blog as well, I was looking around it. 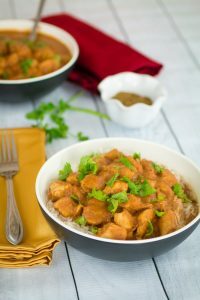 All of your recipes look so tasty! Oh my gosh, the maze looked like so much fun! Those sculptures look awesome! And so does this mug cake! Love that it’s gluten free! 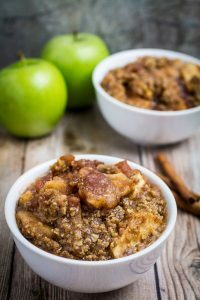 🙂 Love the pecans and applesauce in here!